Sharp lines, stiletto heels and classic shapes are updated with the crushed velvet luxe styling of 'Closure'. 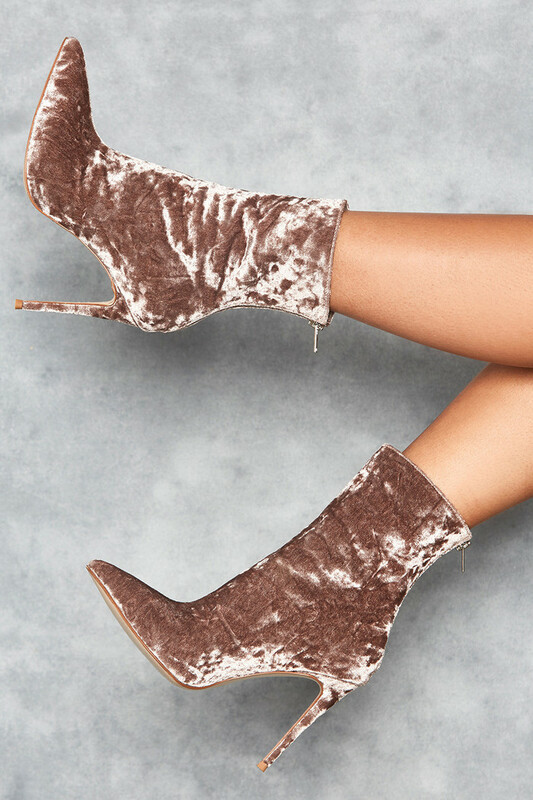 Crafted from a soft crushed velvet in a soft mink tone, 'Closure' feature an ankle length and inside zip for easy on. Wear yours with athleisure joggers and a cropped top.